The key purpose of consumer technology is to get rid of things. If new product D does nothing to get rid of products A, B, and C, then it won't gain a lot of traction. 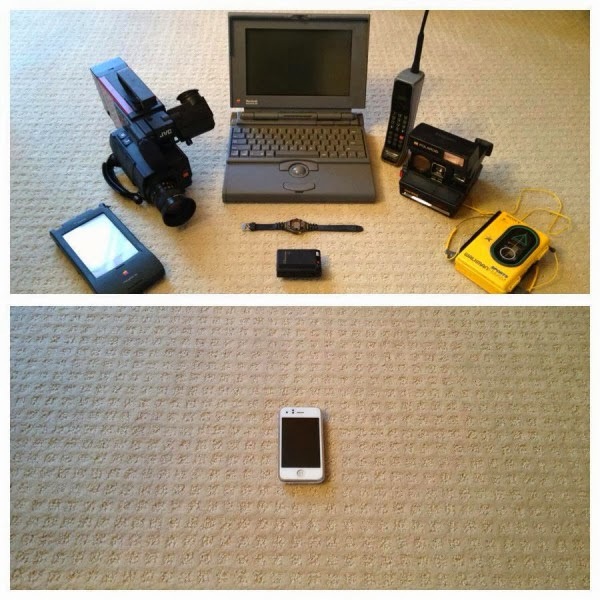 The iPhone replaced the phone, still and video camera, music and video player, photo album, game console, GPS nav system, laptop, stop watch, alarm clock, book library, calculator, e-mail client, web browser, word processor, day planner etc. While it's not a perfect replacement, it's good enough. Before bringing a new product to the consumer, first ask, "What will this get rid of?" and "Is it simple?" because there's little that's more frustrating than when technology doesn't work as expected. And never forget that innovation is anything which reduces the cost of a transaction.